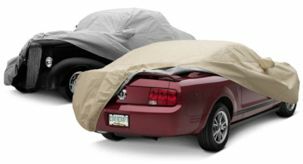 Secure your car cover. Works on any brand of cover. Kit includes padlock and vinyl-coated steel cable. It is approximately 8 ft. in length.